At Fernwood Darwin our friendly staff will make you feel welcome and we pride ourselves on the fact that the women who join us come in many different shapes, sizes and fitness levels. We treat every woman as an individual in our approach to assessing your specific needs. Our Group Fitness timetable is jam-packed with variety and suited for all levels of fitness. Our bathroom feature a range of free toiletries for you to use and ironing facilities to make sure getting ready for work is as convenient as if you were in your own home. On weekdays you are welcome to sit down and enjoy a complimentary continental breakfast. Experience the difference of Food Coaching with weekly 1-on-1 sessions with your own Food Coach who'll motivate and educate you on weight loss within the convenience of a supportive health club environment. The Fernwood Personal Training Program is designed to give women the best results in the shortest amount of time. The sessions are 30 minutes, one-on-one, with a strength training focus that will give you an all-over workout. Your workout sessions are tailored to your specific needs and fitness goals. On Saturday 2nd September Fernwood Homemaker Village is running a Yoga event in the club. 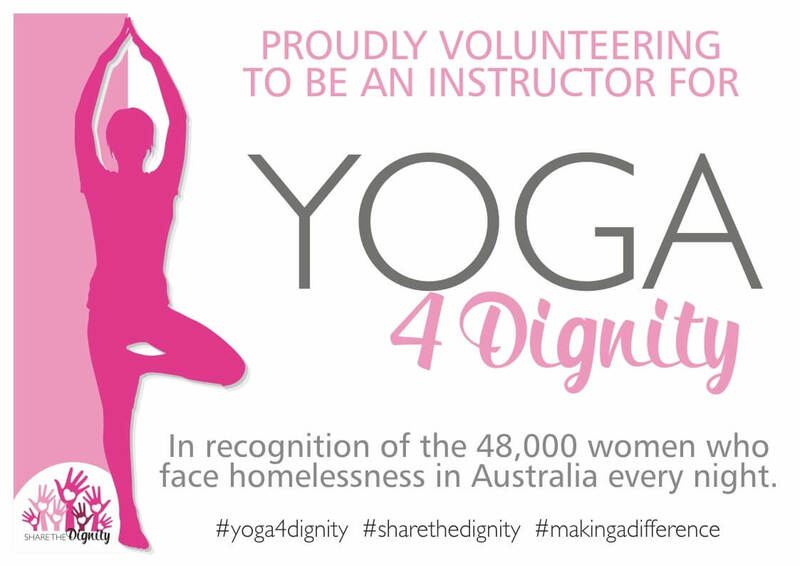 This is for Australia's biggest Yoga Celebration of women supporting women YOGA 4 DIGNITY from 2.45pm for a 3 pm sharp start and finishing at 4.30pm.